Eun Sun Lee (left) was charged with prostitution and unlicensed massage therapy. Young Me Chang (right) was charged with unlicensed massage therapy. 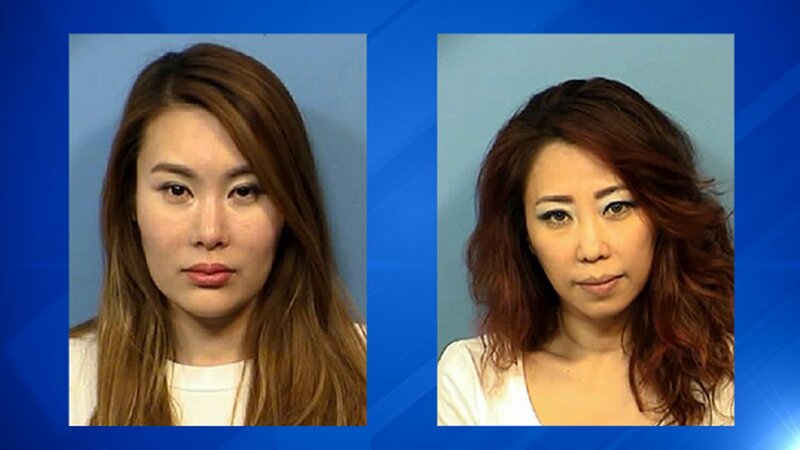 LOMBARD, Ill. (WLS) -- Two women were arrested after an undercover sting at a west suburban spa, the DuPage County Sherrif's Office said. Police said they conducted the sting at the Ivy Spa at 1263 Main Street on Friday. According to police, Eun Sun Lee, 40, of Los Angeles, was charged with two misdemeanors of prostitution and unlicensed massage therapy. Young Me Chang, 43, of Lombard, was charged with a misdemeanor of unlicensed massage therapy. Police said the two women were released from the DuPage County Jail after posting bond. The Sheriff's Office said they were assisted by the FBI's Human Trafficking Unit and the DuPage County multi-jurisdictional gang crime task force/ATAC.